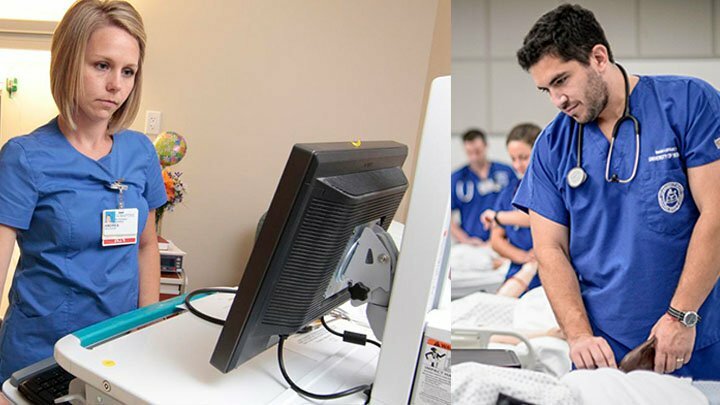 CNA to RN programs are conducted at several schools and universities, throughout USA. The training can be taken online, part-time or full-time. Traditional RN programs take about two years to complete. At present, if you are employed as a nurse aide with any healthcare facility, you can complete registered nurse training within 1 to 1½ years (excluding the time for preparing, applying and taking the NCLEX-RN). How CNA to RN programs work? A CNA to RN program comprises of innovative coursework that intends to assist nurse aides in obtaining a registered nurse license. The credits, you earned during the nursing assistant program, are transferred to your current RN program. This shortens the length and duration for the training. Why to join CNA to RN programs? These programs are designed to train the aspirants for a rewarding career as a registered nurse. If you are already employed as a certified nursing assistant, you will find CNA to LPN programs time saving. Candidates can obtain the Associate Degree in Nursing (ADN) or B.Sc. in Nursing in at least 6 months less time. Age Requirement- Federal laws require that an applicant must have at least 18 years of age. Transcript of Records- A GPA of no less than 2.0 is mandatory. In all subjects, you must have not less than C. Your grade average points decide how much number of units will get transferred to your RN program. Proof of Certification- You have to provide your certificate or diploma of completion of a nurse aide training program, as a proof. Working Experience- You must also have a working experience as a CNA in any medical facility. Step 1- Obtaina GED certificate or high school diploma. Step 2- Complete CNA training from a recognized nursing institute in your state and pass the certificate exam. Step 4- Get employed in a medical facility as a certified nursing assistant and gain some experience. Step 5- Enrol for ADN or BSN program. Complete them successfully. Step 6- Qualify the National Council Licensure Examination for Registered Nurses (NCLEX-RN). Several workshops and seminars are organized by the training institutions, which enhances communication skills, interpersonal skills and supervision skills. The cost for CNA to RN programs depends on the type of institutions, you are signed up at. You might have to spend up to $10,000 per year, if you enrol in private universities or schools and up to $3,000, if get register with community colleges. You are also required to pay $200 to $350 for the testing and application fee for the NCLEX-RN. If you are not able to afford the fees, you can find several ways to cover your training cost. Convey your intention of becoming an RN to your current employer. The employer may pay for the program. You can also look for those institutes that offer free or discounted training. Several online institutions also provide these programs, absolutely free. Before enrolling in any school, ensure that it is accredited by the concerned state.